Italian Ambassador to the United States Armando Varricchio this week made his first official visit to Miami since easing into his position in March. He made stops to better understand the Italian influence in South Florida and brainstorm ways to strengthen the nation’s presence here. After his Saturday arrival, he visited PortMiami and made a stop at the Fort Lauderdale International Boat Show. The Italian marine industry is an important component of the country’s links with South Florida, Mr. Varricchio said. Since fall 2013, MSC’s Divina cruise ship has been positioned at PortMiami. MSC Cruises is an Italy founded, Swiss-registered, global cruise line with headquarters in Geneva. It’s the world’s largest privately owned cruise company, employing 16,300 people worldwide with offices in 45 countries. The Divina was the first MSC vessel to serve the North American market and provides cruises to the Caribbean year round. 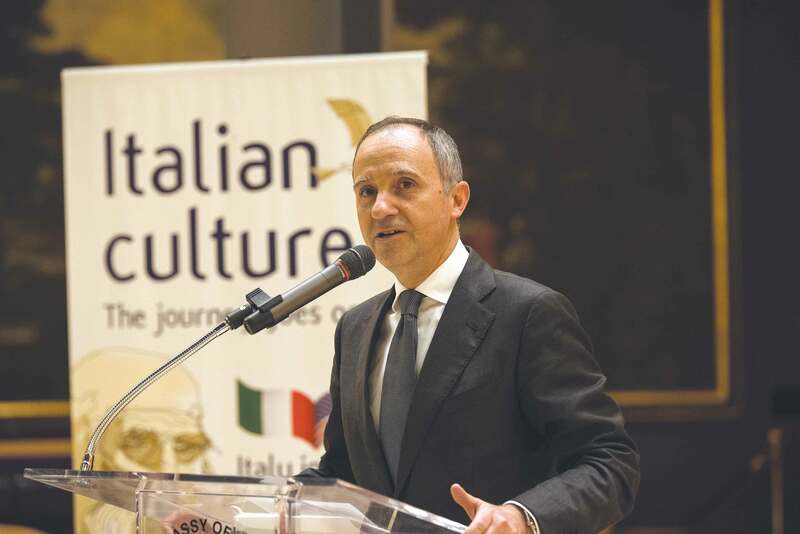 Growing investment interests by Italian entities will spur the need for an increase of a larger Italian presence. As South Florida’s economy grows and more Italian developments are attracted to the area, there is expected to be an increase not only in human capital but in physical presence. As Miami Today reported in August, an unprecedented 500 Italians a month are registering as foreign residents within the Consulate General of Italy in Miami’s jurisdictions throughout the Southeast US and Caribbean, with most settling in to call Florida home. From 2013 to 2016, registrations in the jurisdictions increased by nearly 24%. Specifically, there was an increase of 9% over 2013-2014 and 2014-2015 and 5% from 2015 until July 2016. As of July 2016 there are 32,597 Italian residents in the consular jurisdiction, with 27,743 of those, or 85%, in Florida – up 7% in the state since 2014. In 2014, Italy exported $40.8 billion in goods and services to the US, accounting for 8% of Italy’s total exports. The same year, Italy imported $16.4 billion, roughly 3.5% of its total imports, from the US. Nonetheless, Mr. Varricchio said, there is room for improvement. Miami has earned its reputation of being the gateway to the Americas by way of its enduring trade and tourism relationships with many countries in Central and South America. According to Mr. Varricchio, this facet of Miami can only serve as a magnet for Italian businesses. All in all, Mr. Varricchio said, there is nothing but positive growth on the horizon for ties between South Florida and Italy. Thank you for visiting Miami, Mr. Ambassador.